Due out on February 14 worldwide. The PlayStation 4 and Switch versions of Nekopara Vol. 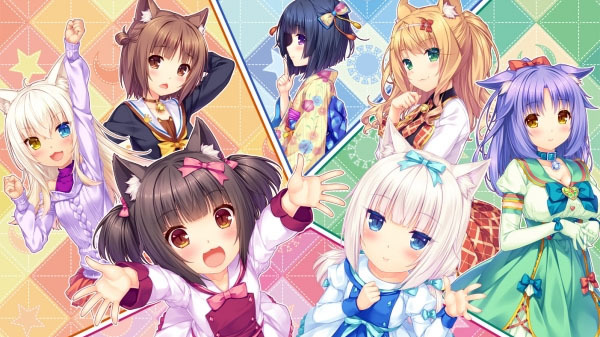 2 includes Nekopara Extra, publisher CFK and developer Neko Works announced. Nekopara Extra, which was a standalone release on PC when it launched in July 2018, is unlocked after clearing Nekopara Vol. 2. Just like Nekopara Vol. 2, Nekopara Extra is renedered at 1080p and includes support for English, Japanese, and Traditional and Simplified Chinese. Nekopara Vol. 2 is due out for PlayStation 4 and Switch on February 14 worldwide. View a set of Nekopara Extra console screenshots at the gallery.